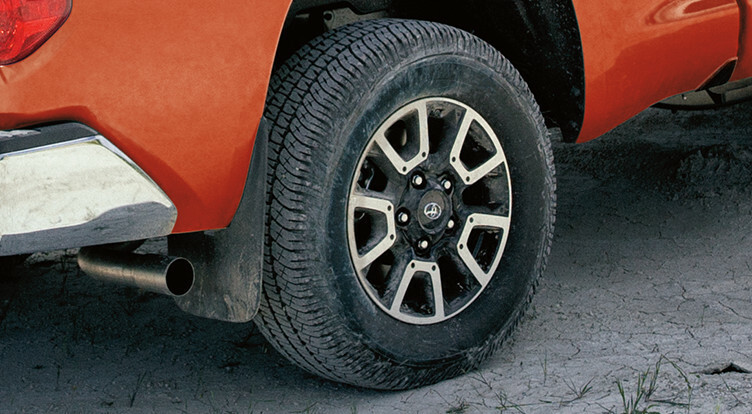 On 4x4 models only, choose from three CrewMax models, including the SR5 Plus, Limited and Platinum. 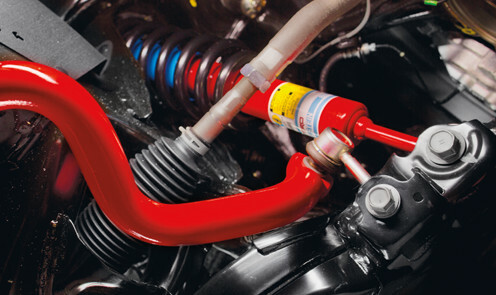 Then raise your game with available packages including TRD Offroad, TRD Sport, and, new for TRD PRO. 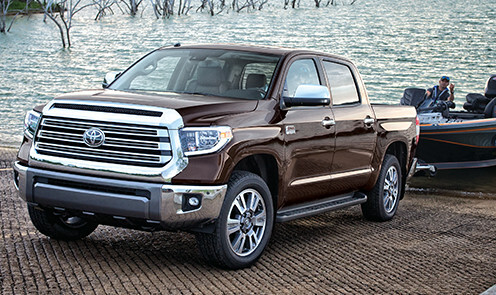 The Tundra 4x4 CrewMax Platinum is available in an ultra-luxurious 1794 Edition. The Western-themed 1794 Edition pays homage to the Texas ranch, founded in the year 1794, where the Tundra plant is now situated. 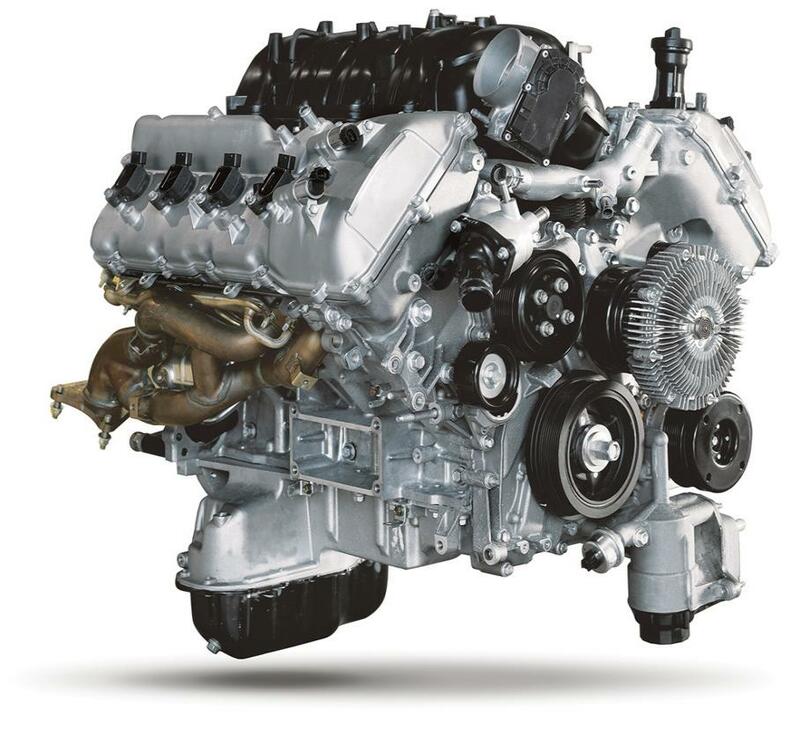 It features a unique chrome-surround grille with bright silver insert, a chrome and silver bumper, 1794 Edition badging, a power moonroof, power tailgate lock, and our powerful 5.7L V8 engine with a heavy duty towing package. 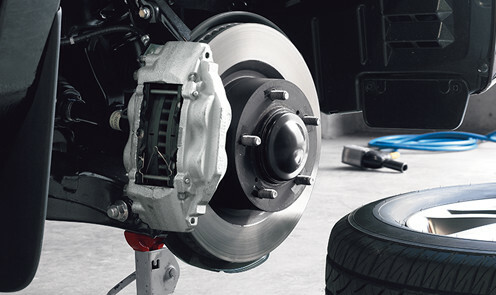 Need that extra dose of performance and styling? 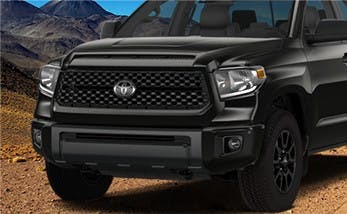 The TRD Sport package, available on 4x4 Double Cab and CrewMax SR5 Plus models, satisfies both with features like hood scoop, TRD sport-tuned Bilstein dampers, sport-tuned suspension, sway bars, 20” aluminum alloys, and bold TRD badging. 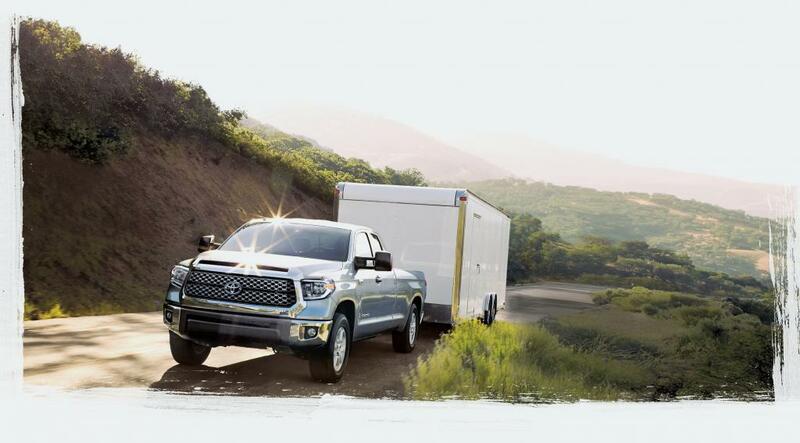 More than a pretty face, TRD Sport is ready to help you take on most every task and terrain, and includes features like built in navigation to get you where you need to go, and back again. 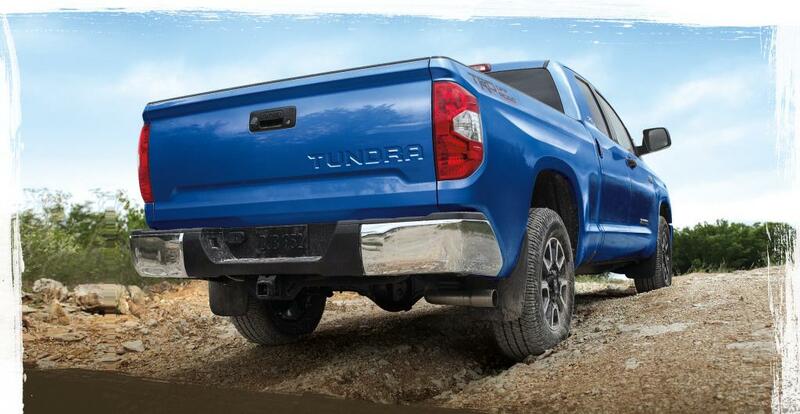 Tundra TRD Pro is back, and bolder than ever. 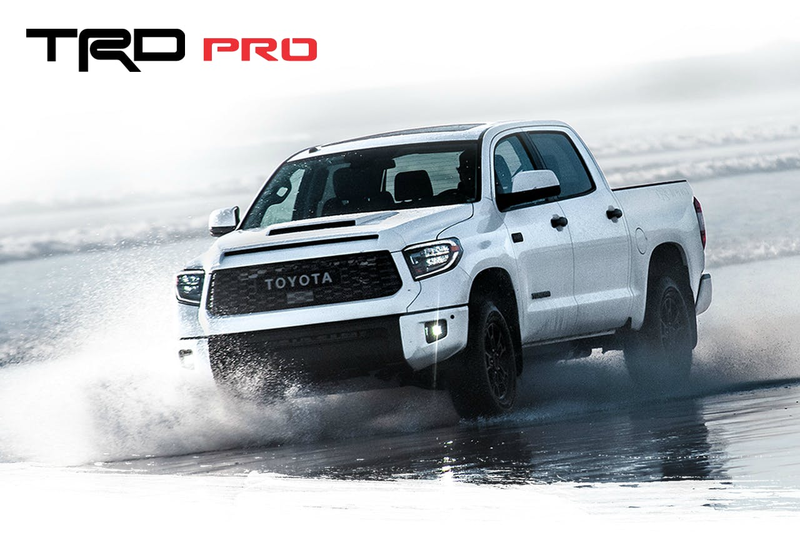 Available on 4x4 CrewMax and Double Cab SR5 Plus 5.7L models, TRD Pro packages offer legendary off-road capability to help you take on the toughest terrain. 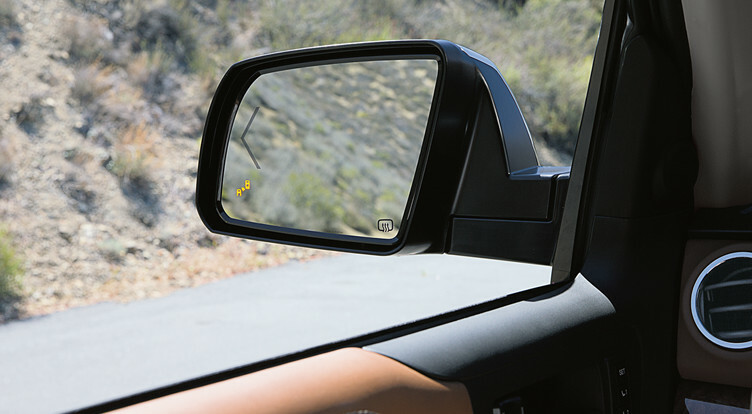 Available in Super White, Midnight Black Metallic, or TRD Pro-exclusive Voodoo Blue. 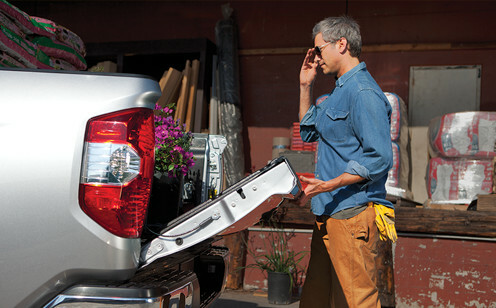 The 4x4 Double Cab 5.7L SX adds a touch of aggression to Tundra’s already bold presence with features like glossy black 18” alloy wheels, black grille and colour-keyed bumpers. Inside, front passengers are held in high comfort in bucket seats. In keeping with the ‘black theme’, the 3 rear seats are wrapped in a grey fabric. 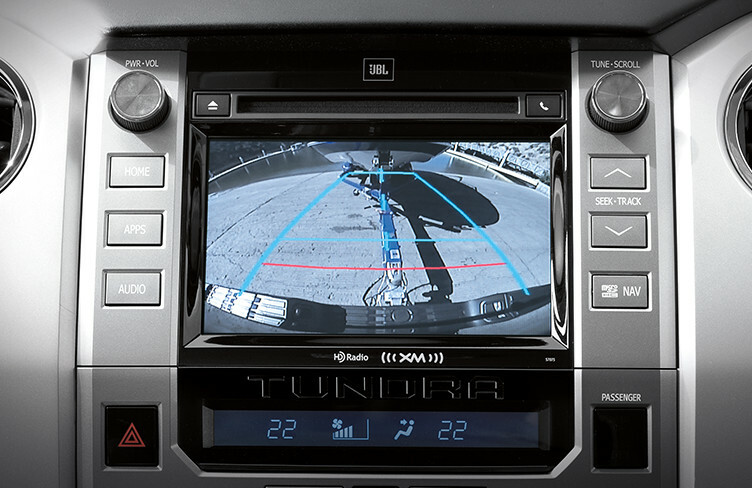 Standard on Tundra is Toyota Safety Sense P, which comprises of Pre-Collision System with Pedestrian Detection, Lane Departure Alert with Steering Assist, Automatic High Beams, and Dynamic Radar Cruise Control.